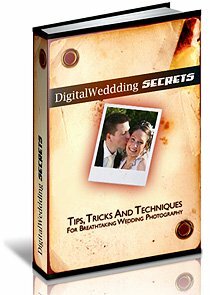 On these pages I have gone through some digital wedding photography tips, with the emphasis on editing the images after the event. 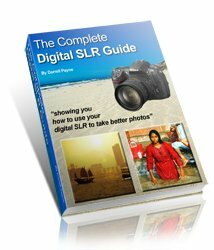 There are also plenty of tips on organising and securing your digital images. There's various techniques that can be applied to a picture in Photoshop, with some interesting results. However - and here's my first digital wedding photography tip - treat them with care! You may well be a whizz with all those Photoshop special effects. Finally, make sure you have a look at the wedding photographer's toolkit - it's an essential guide for anyone who wants to get started as a wedding photographer. Before you even begin to edit all those photographs from the wedding, please remember my top digital wedding photography tip – it's their wedding, not yours! You must have prepared by talking to the bride and groom, so that you fully understand their expectations of you. Click to go to the general digital wedding photography tip page for more about preparations. You might not agree with what they want, and may make a few suggestions of your own. That's fine. But at the end of the day, it's still their wedding! The key to editing those photos (and here's the next digital wedding photography tip) is to keep it simple. Think "classic". Photoshop is best used to replicate traditional wedding photography effects, rather than producing the effects normally reserved for whacky advertising campaigns! I'm not saying there isn't a place for the more modern techniques. There is. I've listed some of these below, with links to pages on how to achieve the effects. My key point here is simply to not go overboard with the effects. Next digital wedding photography tip - practice some of those traditional effects. I've listed some below. Click on the links to go to a Photoshop tutorial on how to produce the effect. I mentioned above that it's OK to experiment. And this is my next digital wedding photography tip – experiment with the software and your creativity. Try to have "artistic wedding photography" in mind and you could produce some great results! Before diving into these effects though, I want to re-iterate my first digital wedding photography tip - remember that it's not your wedding! You're only the photographer. You absolutely must talk to the bride and groom to find out what they would like from their wedding photographs. By all means throw in a few extras that put your own style into the photographs. But these must be extras only. Make sure you already have the photographs in the style that the bride and groom wanted first. Then go for the fancy stuff if you like. The next digital wedding photography tip concerns the digital files themselves. With digital wedding photography the information contained on those memory cards is valuable. Extremely valuable! This is a "must follow" tip – backup your files. And then back them up again. Do this at the first opportunity you have. A good tip here is to get your hands on some portable storage if you can. A lot of digital wedding photographers take one for backup on the day. It's a good idea. They let you copy images from your memory card, and store them on a hard drive. I've used a laptop before which works just as well, but is bulky. You'll want to leave it locked safely in the car. Or buy a good sturdy bag! As an interesting alternative – how about an iPod? With an adaptor they can be used as an external hard drive too. And you get to listen to some of you favourite tunes during the quiet moments! Or, even better if you can afford it, an iPad (or something similar, any kind of tablet will do). With the right connector you can transfer the images directly to your tablet with the bonus of seeing the images in full screen. A lot of tablets have very high screen resolutions. This makes it easier to spot anything out of focus - much easier than on your camera screen. Final tip – when editing your photos, never, ever save a file over the top of the original. Your original file really is your negative. My advice is to burn all the images onto CDs or DVDs as soon as you get back home, and store them safely. I keep these disks in a different room from the computer, just to be really safe. These are your ultimate backup should anything disastrous happen to your computer. And as they're so cheap these days, this would be a good option. If you do go for the separate hard drive option for backing up your wedding photos I suggest you use the drive for your wedding photography ONLY! It's tempting to stuff all your photos onto it, but it's far, far easier to find photos after the event if you have one disk, neatly organised. If all your wedding photography is mixed in with everything else it takes a bit of time to find the right image. And time is money, right? Then, on your computer, make a copy of the entire day's photographs. Work only on the copied images, not the originals. This way, even if you mistakenly overwrite a file you have the original right there on your computer. The wedding photography toolkit is designed to make your life a lot simpler. It saves you time in setting yourself up as a wedding photographer, and saves you wasting money on non-essentials. It really is the complete package - everything you need to get started, and full support too. The normal cost of these sort of packages runs into the hundreds (I've bought a couple of them myself). And for $49 it's a heck of a bargain! If you are interested in the complete wedding photographers package you can download it here. And if you're concerned this might be just another gimmick (and I don't blame you there - the internet feels like the wild west sometimes), there's no need to worry because it comes with a full 60 days money back guarantee. That gives you plenty of time to trial the package and be confident that if it's genuinely not for you you will have lost absolutely nothing. It really is completely risk free.